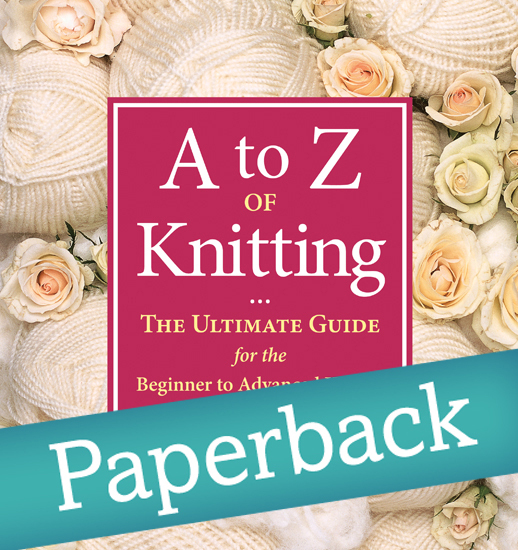 Now in paperback, this must-have resource offers all the knitting know-how you'll ever need! 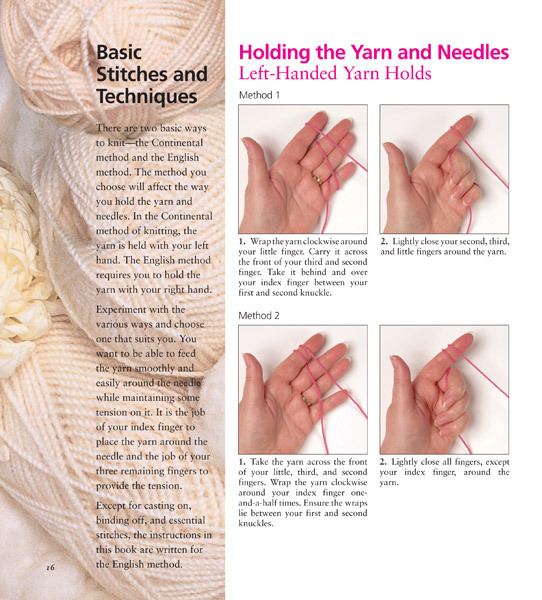 With over 1,000 close-up photographs featuring real hands holding real yarn and needles, there's no easier way to learn! 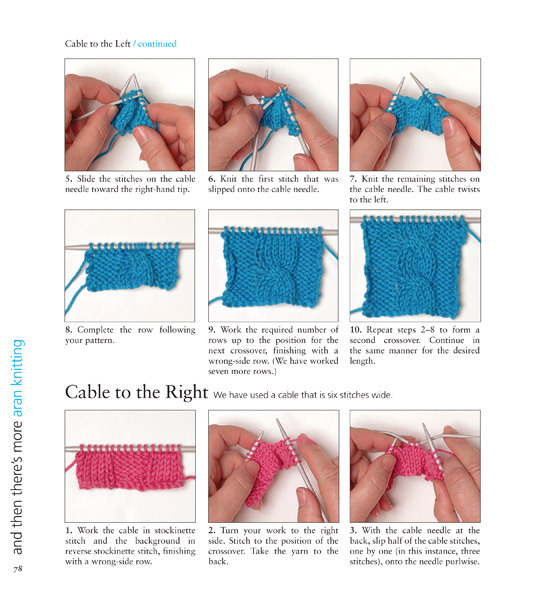 Available to customers in the U.S. and Canada only. A to Z of Knitting: The Ultimate Guide for the Beginner to Advanced Knitter … starts at the beginning – literally, opening with a history of knitting. From there, the book walks you through the things you need to learn before you cast on: needles, yarn fibers and textures, sundry tools and accessories, abbreviations and how to read patterns and charts. 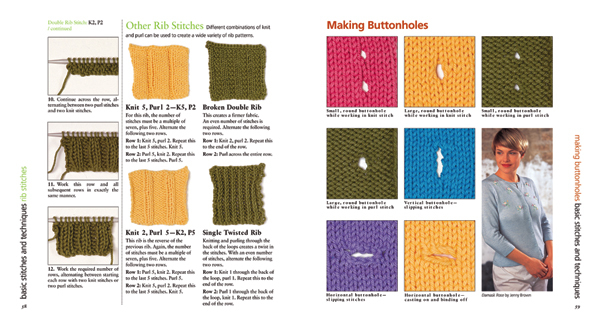 It even tells you different ways to hold the yarns and needles … the instructions are tops. Other tutorials include: basic knit and purl stitches, increases, decreases, ribbing, buttonholes, bobbles, cables, adding beads and sequins, fair isle, entralac, short rows, lace, looped knitting, knitting in the round, embroidery and decorative stitching, multiple methods of correcting mistakes, grafting and seaming, blocking, fringe and tassel, pom-poms, and caring for your knit garments. 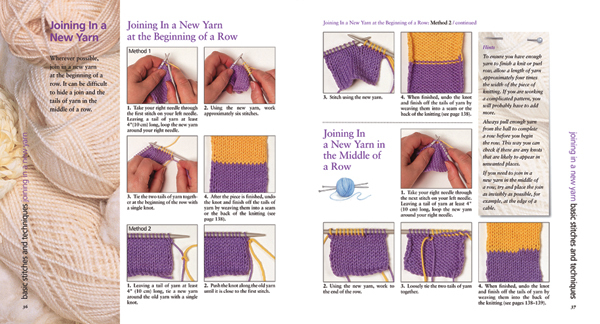 The photographs are clear and easy to follow – and all in color. You would be surprised at how many knitting books only have sketches or black and white photos. 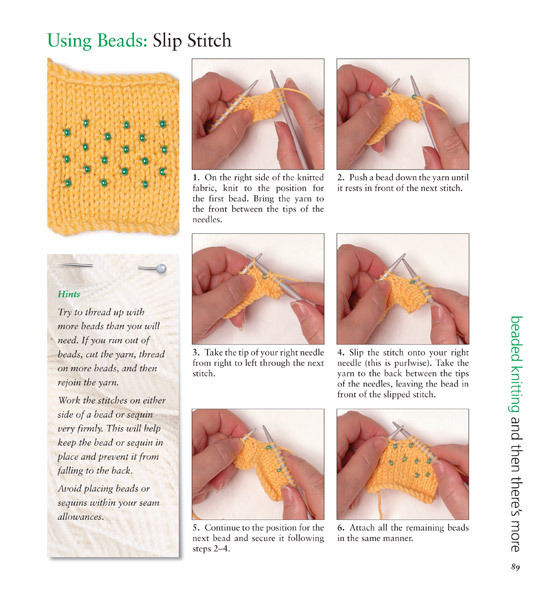 Each technique also comes with a photo of a finished swatch, so you know what it is supposed to look like.